Receive one FREE domain name for each hosting account that is paid yearly! Are you ready to get your own domain name? BsnTech Networks will handle all of the work required to register a domain name and to administer it. A domain name is the human-readable name of a website address. For example, our domain name is “bsntech.com”. This makes it easy for us to remember how to get to a certain website that we want to see. 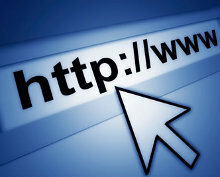 There are thousands of places online to register your domain name. The trick is to find a domain name that hasn’t already been taken! For example, BsnTech Networks owns the “bsntech.com” domain name – so it cannot be registered again. BsnTech Networks will register your domain name for you at a cost of $20 per year. If you have us register your domain name for you, all you have to worry about is the $20 invoice that comes to you each year. Relax and let us take care of the rest for you. When you register a domain name, there is additional settings and configuration that must be done. One of these configuration requirements is where your website address will point to. If you have a website and a hosting plan – such as through BsnTech Networks, you have to know the information to point your domain name to our servers. If you don’t have the information entered correctly to have your domain name pointed to the hosting company, your domain name doesn’t work and anyone that types in your domain name will not get anything! Let BsnTech Networks take this worry from you as we ensure these configuration changes are made correctly. Did you know that if you register a domain name – you are required – by law – to input your name (or your business name), your address, and your phone number? Many people do not like that their personal information is readily accessible online – especially their name, address, and phone number! Let BsnTech Networks take this worry away as well! When we register your domain name, your personal information is hidden and not accessible. Don’t Let Someone Steal Your Domain Name! This is a common problem with domain names. Once you register your domain name for the first year, there are domain name “hunters” that will feed on your domain name. They take pride in being able to register your domain name before you do! Why do they do this? So they can try to sell the domain name back to you for hundreds – if not thousands – of dollars. They know you need your domain name back – and they won’t release it back to you without a price! BsnTech Networks puts you at ease with our Domain Name Registration & Administration services. Never worry about where your domain name is pointing to. Never worry about your personal information showing online. Never worry about someone stealing your domain name.